I wish I was a fashion blogger, then I would know exactly what top to throw on with what skirt and look instantly fabulous. But I'm not a fashion blogger. And despite my love of colour (oh yes, I love my brights!) I still tend to shy away from too much colour when it comes to clothes. Not this year, hopefully. Not when there are so many brightly coloured clothes vying for my attention. 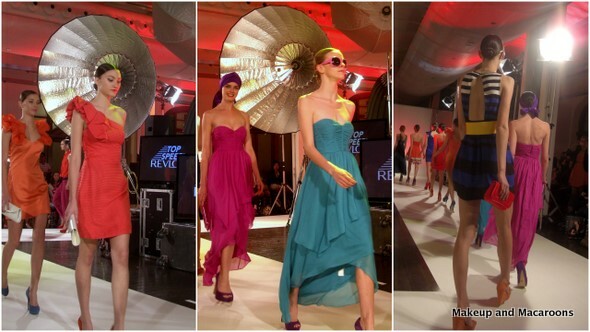 Yesterday I attended a fashion show held by Revlon and Cosmopolitan magazine. 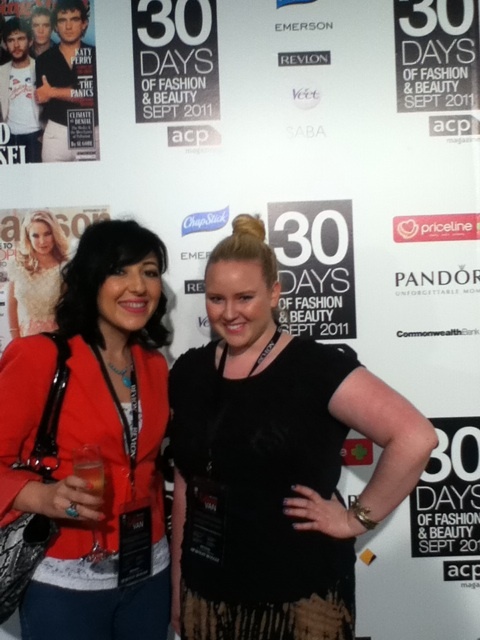 The event was part of 30 Days of Fashion and Beauty, and anyone could register to go. However the front row had been reserved for us bloggers. Yes, I did feel slightly like a VIP. I tried to do my best Anna Wintour impression but failed miserably. Nevermind. 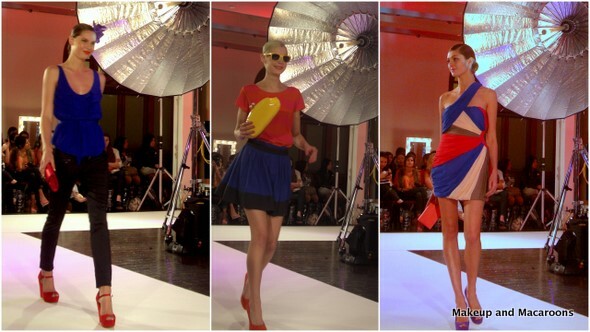 Here are some of the gorgeous trends on show. Now for the best part. Everything shown was from affordable labels. Ones that us mere mortals who don't have a bottomless pit for a piggy bank can afford. All links below are to the brands' websites or to stores that stock them, for your convenience. I'm not affiliated with any of them. All up I had a lot of fun. There are many such events occurring all over Australia, so head on over to the 30 Day website and register for one near you. I haven't registered for anything else yet, but I'm hoping I can make time to attend one of the Priceline workshops. Now you need to put your sunnies on... why? How bright is my jacket!? This was my first time flirting with colour blocking and let me tell you I did feel a lot like everyone was staring at me. They probably were! I mean, look how bright it is! Anyway I stole that pic above from 30 Days' Twitter pics, which were HERE if you want to see more event snaps. I've also shared more pics on Facebook which you can see HERE. Have you embraced colour in your wardrobe yet or are you still sticking to your safe colours? Aww that looks like so much fun!! I have recently been on a crazy coral/orange clothing hunt/obsession. My fave pieces have all come from Cotton On. I love that shop it's so affordable! I got a bright coral long button up shirt which I have been showing a lot of love lately. And some softer orange coloured shirts which I am also loving. Looks like a fun day. Wish i could have been there with you. You and Angie look lovely in that photo! Dude, I love your jacket! I rarely dabble in colour too, but mostly because I'm a jeans and tshirt girl and have only just stopped being a PIB (person in black :P) If I do wear colour it's either obnoxious red, or muted greens and blues. you look fab! im colour blocking by just adding a jacket, but i havnt attempted a bright orange! I pretty much live in black, it's a real fail safe! However I did pick up an amazing green velvet jacket in London, it's not a bright green though but still unusual for me! 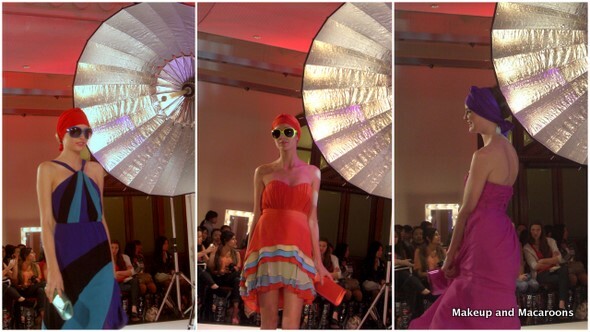 I was there as well at the fashion show and had such a great time! The clothes were absolutely beautiful and realised I'm in serious need of a wardrobe update! Do you mind if I reference your blog in mine? Your photos are fabulous! You look FAB in your bright jacket! YAY for us who are just about to start colour blocking for Summer!